Mt Hotham – the highest ski resort in Victoria – is home to some of Australia’s deepest snow. The altitude makes for stunning scenery and an authentic alpine experience. The mountain features easy slopes for first timers and more advanced terrain for seasoned snow-goers. Super-wide runs provide beginners with space to learn and steep gullies invite the adventurous intermediates. The extensive variety of terrain is easily accessible and there are plenty of fun activities available off the slopes. 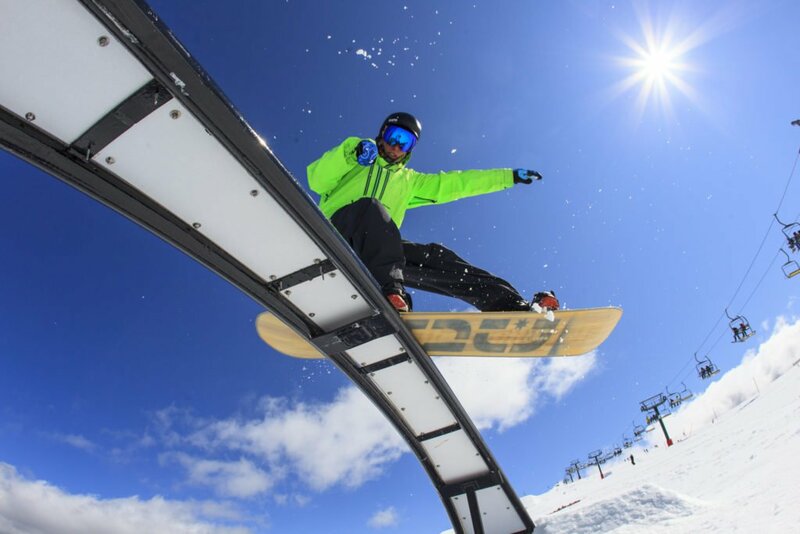 Choose from 85 runs for all skill levels at ‘the serious skier’s resort’, located five hours from Melbourne and nine hours from Sydney. Improve your technique with lessons daily and off the slopes, enjoy the resort’s community feel and cosy indoor activities. Departure Board your coach to Mt Hotham. There will be an opportunity along the way to stop and stretch out and grab refreshments before we reach our destination. Arrival Check into the Snowboard Inn where you will be staying for the next 5 nights. Collect your lift passes, clothing and snow equipment before enjoying lunch at the Inn. Climb that mountain Meet up with your instructor for your first of several lessons. Afterwards head back to the Inn for a delicious evening meal. Optional activity - Cross-country skiing Cross-country ski or snow-shoe the ancient Brabralung trail and learn about the indigenous peoples of the Alps. Rise and shine After breakfast, enjoy a full day on the slopes of Mt Hotham. A day on the mountain Enjoy a daily lesson with your skilled instructor, practicing new techniques, before enjoying a hearty lunch and dinner with your fellow adventurers. A day on the mountain Enjoy a daily lesson with your skilled instructor, before enjoying a hearty lunch and dinner with your fellow adventurers. Optional activity - Dog-sledding tour Snuggle up in a sled and set out into the wild in a dog-sledding tour. A day on the mountain Master your snow skills and soak in the alpine environment with free time on the mountain, before enjoying a hearty dinner with your fellow adventurers. Thank you for your interest in our WorldStrides Mt Hotham Tour! Please tell us a little more about yourself so we can get you sent to the right place.